Arm supports assist people with low but still deployable arm function to perform daily activities. MedicalSearch: What kind of independence can a person with a disability gain from a dynamic arm support? Wim Hartog: Dynamic arm supports help to carry the weight of the arm. 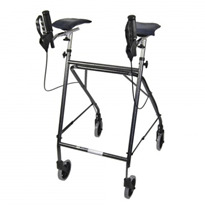 They assist people with low but still deployable arm function in performing their daily activities. 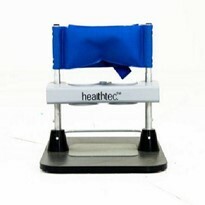 They help users to continue to carry out or allow all sorts of daily functions. 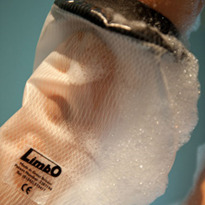 Arm supports can be used in various environments, such as in the home, workplace, school or outdoors, which gives users the independence they need in a variety of settings. 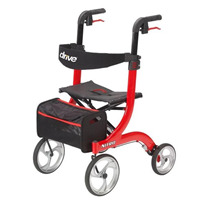 It is easily transportable and can be mounted on a wheelchair, working chair or stand, which improves access to its use. 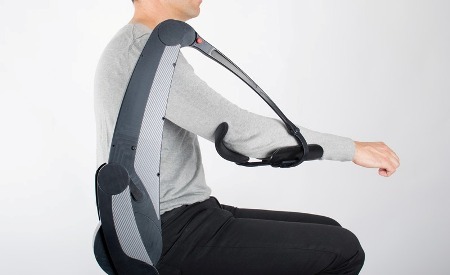 Arm supports such as the Gowing Dynamic Arm Support, developed by Focal Meditech, can also be used as an ergonomic aid for people who are at risk of developing CANS, overload or strong fatigue, due to challenging working conditions, which may be due to continuous or frequent task performance above shoulder level or performance of many static manual activities. What would you say are its biggest benefits? The biggest benefits of a dynamic arm support to its user is that it supports the execution of numerous daily activities that many of us take for granted, like eating, drinking, brushing our teeth or typing on a keyboard. The device returns the natural freedom of movement to the user and gives users the independence to lift and use objects; with this support, personal care is possible again. In general, it is desirable to use your remaining capacities as much as possible. This is both beneficial from a health perspective and for one's self-esteem. It is also cost effective. 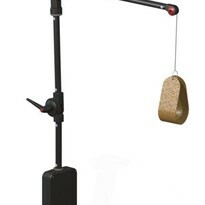 You mentioned the Gowing Dynamic Arm Support: what kind of research was conducted to develop this particular product? Focal Meditech's research and development process for Dynamic Arm Supports. 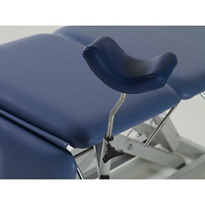 The development of the Gowing Dynamic Arm Support took several years; the entire process was heavily grounded in recent scientific work and collaboration with academic partners. It's design is based on hybrid actuation principles and some of the major goals were to develop a product that can bring the hand towards the mouth and above the head; to have smooth and natural movement characteristics; and to be most functional in the vertical plane. We now have a product that can meet all the requirements of its user. What are some of the important applications of this technology? In terms of design, it was important to combine all the advantages of assisted movements, both natural and intuitive, with the advantages of passive movements, such as lifting the arm when needed. It was equally important to ensure these devices are easy to operate and control through the use of simple units with a limited number of buttons. The designs are both ergonomic and beautiful, and do not make the wheelchair any wider, even when the user rotates his/her arm towards the body. Dynamic arm supports are easy to install on wheelchairs without major customisations having to be performed. 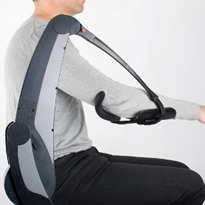 The Gowing Dynamic Arm Support, for example, has hybrid antigravity support, with the possibility for the user to choose between unassisted (assist as needed) and passive vertical movement (arm lift). 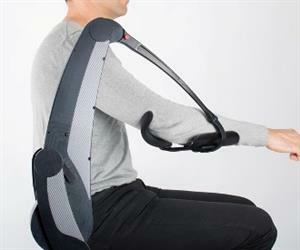 it also gives the user the option to stabilise the arm at any given position in the vertical trajectory, yet still allowing further upward movement and balancing of the forearm. 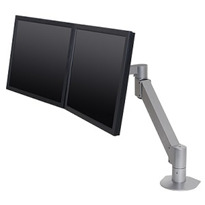 What is your message to businesses and individuals who may benefit from a dynamic arm support? The device gives users independence, self-esteem, and provides them with the arm support needed to go about their daily activities, whether at home or at work. 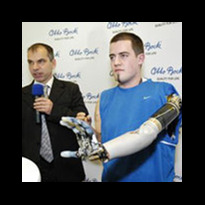 It also provides choices between stability or free movement; perhaps the user prefers assisted movements, or perhaps the user would rather that the device lifts the arm. 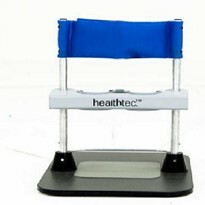 If you know anyone who is challenged by considerable muscular weakness, excessive muscle functioning or a need of redistribution of pressure/forces that leads to an inability to perform essential ADL activities including eating, drinking, facial care, computer use or wheelchair control, then you should consider this device. Can you describe a practical case of its use that led to successful outcomes? There are many and varied cases of successful outcomes. 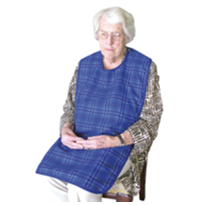 From the simple dignity and independence given to a client who now can eat a meal without the carers help, through to the client being able to remain at work. 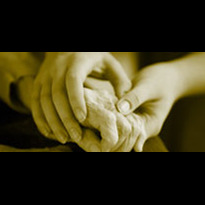 What aged care and disability bodies use Windsor Walk-in Baths?